Adobe Digital Editions is an e-book reader software that allows users to view and manage e-books and other digital publications in an engaging way. Here’s how to download Adobe Digital Editions for Windows 10 64 bit or 32 bit for free. Unlike Adobe Reader which only allow users to view the digital content, you can do much more in Adobe Digital Editions such as download and purchase digital content directly from it, read them both online and offline, borrow e-books from public library, transfer copy-protected eBooks from one computer to another, organize your e-books into a custom library, and an amazing feature to annotate pages in your e-books. Adobe Digital Editions is available for several platforms including Windows, Mac, Android and iOS. 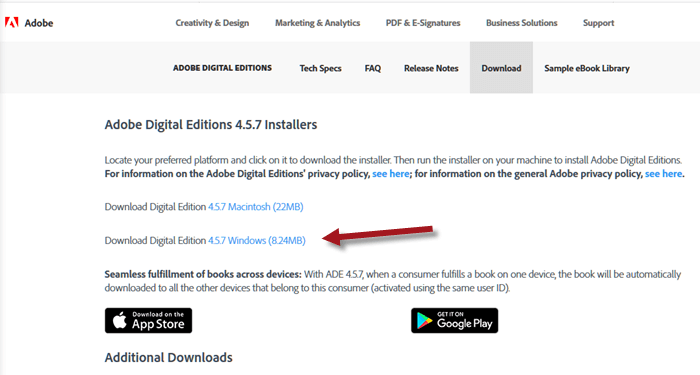 Click here to download Adobe Digital Editions 4.5.7 for Windows 10 hosted by Adobe. To check for the latest version of Adobe Digital Editions for Windows 10 download, we recommend to go to this page instead and use the download link there to install or update your existing version of Adobe Digital Editions. 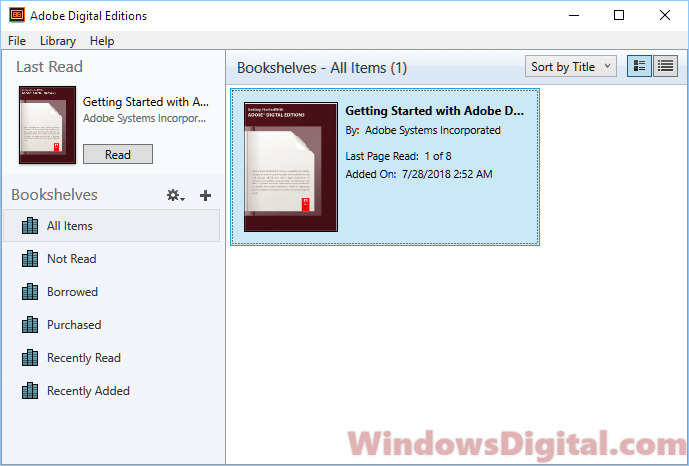 Here’s a detailed guide on how to use the Adobe Digital Editions for Windows 10 offline installer to install the software on your PC. 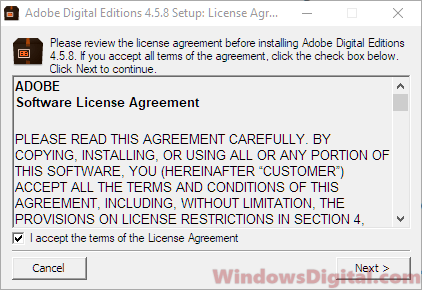 Once you’ve downloaded the installer, open it and click to accept the terms and license, then click Next. When it asks to select desired options, check all options or select only the shortcuts that you need. 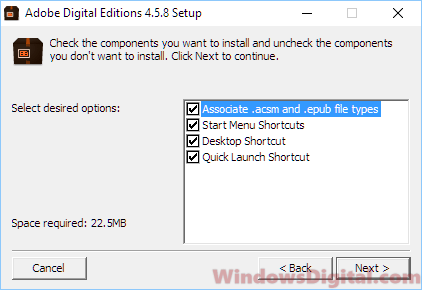 The associate .acsm and .epub file types option means that when it’s enabled, all files with the mentioned file types will be automatically opened in Adobe Digital Editions. Click Next when you’ve done selecting. Choose your desired folder path where you would like Adobe Digital Editions to be installed to. Finally, click Install to install the software. During the installation, it may prompt you to a product such as Norton Security Scan to ask if you would also be interested to install it. It’s an advertisement and that’s entirely up to you if you want to install it. If you don’t, just click on the No, Thank you link. 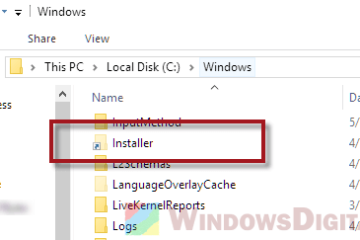 You may also like: Download Adobe Reader DC Offline Installer for Windows 10. The Adobe Digital Editions installer is relatively small in size (around 8MB) but it’s an offline installer. 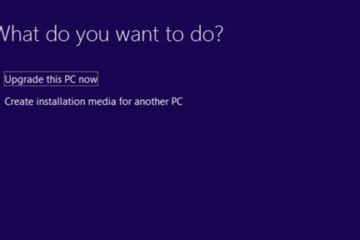 It means that you can use the installer to install Adobe Digital Editions for Windows 10 on a computer that don’t have internet connection. What platform can Adobe Digital Editions run on? 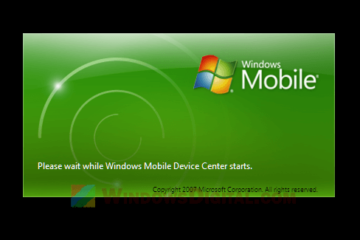 The Adobe Digital Editions for Windows 10 download link works for Windows 10 64 bit or 32 bit, Windows 8, Windows 7 or XP. If you want to download Adobe Digital Editions for your Android devices, iPhone or iPad, go to the download page as outlined above and click on the Get it on Google Play or Download on the App Store respectively. Adobe Digital Editions is one of the most popular e-book reader for mobile devices. We highly recommend using it to view and manage your e-books. What file types are supported in Adobe Digital Editions? Adobe Digital Editions can read files in PDF or EPUB format file types. It is, however, not compatible with MOBI files which is the format solely used by Amazon Kindle. If you have a MOBI file which you would like Adobe Digital Editions to read, you will need to convert it to either PDF or EPUB file type first before you can read it. There are many websites that offer such conversions online for free on the internet. 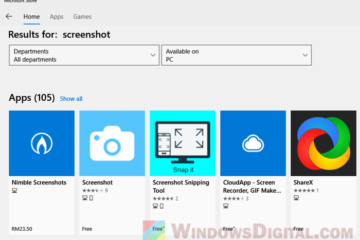 Is Adobe Digital Editions for Windows 10 free to use? 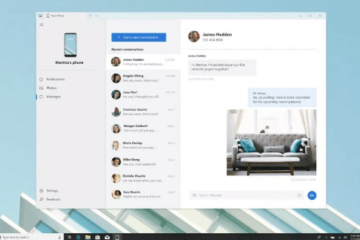 The Adobe Digital Editions for Windows 10 is free to use. You can use it to read as many e-books as you want. However, e-books are not free. The software doesn’t come with any free e-book. Can you print e-book from Adobe Digital Editions? As long as the author of the e-book or PDF authorized the printing, you can print the books or documents from Adobe Digital Editions by simply clicking the Print icon while viewing the book or document. 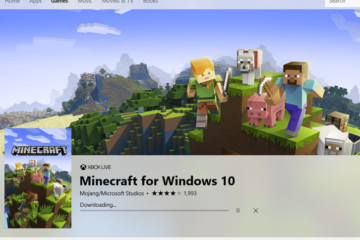 Description for sharing: Adobe Digital Editions for Windows 10 free download - How to download Adobe Digital Editions for Windows 10 64 bit 32 bit offline installer.